Let us help you with your deck design and construction. 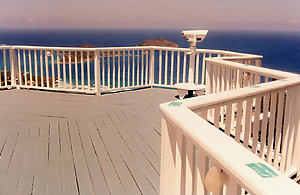 With over 30 years of experience, we can help you build a deck that will exceed your expectations but not your budget. Collins Construction has the experience to handle large commercial deck jobs. We have worked with many satisfied Tampa area contractors and commercial clients, Condo HOA’s since 1992. 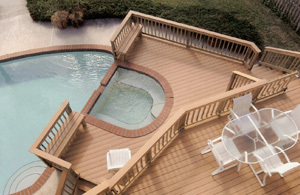 Let us give your aging deck a make over with new decking and rails. 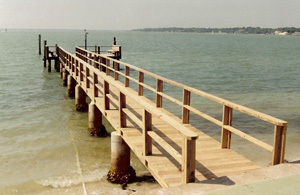 We have remodeled or replaced over 1000 decks and docks making them as good as new. Collins Construction is a State Certified General Contractor Lic. CGC1508214, fully insured and bonded, a builder who you can trust to get the job done right. Call us today for a free consultation and estimate at (727) 251-6900. Collins Construction is the leading deck builder in the St. Petersburg, Tampa, Clearwater and Sarasota cities of Florida. We are an award winning deck design firm with over 30 years of experience in residential and commercial Exterior construction specializing in Decks, Boardwalks, Gazebos, Arbors, Pergolas, Pavilions, as well as Deck and Dock Remodeling. Let us help you plan and build your dream backyard project.